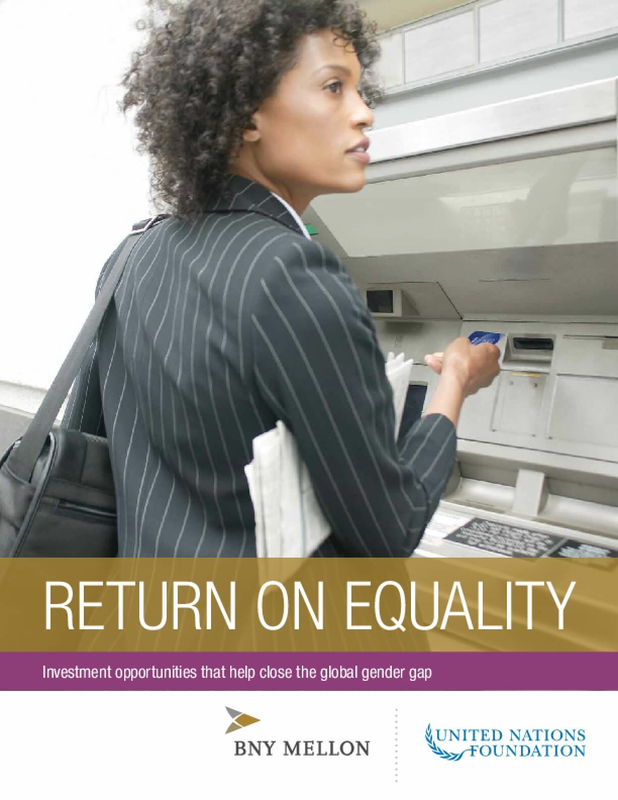 There is significant opportunity for individual investors, asset managers and companies to move closer to achieving the goal of gender equality and make direct social, market and global economic impacts, according to a compelling report launched today by BNY Mellon and the UN Foundation. The report, Return on Equality: Investment Opportunities to Help Close the Global Gender Gap, reveals new insights that underscore the urgency and opportunities for closing the global gender gap and proposes steps investors can take to advance progress towards the United Nations' Sustianable Development Goal 5: Achieve gender equality and empower all women and girls." Copyright 2017 The Bank of New York Mellon Corporation. All rights reserved.